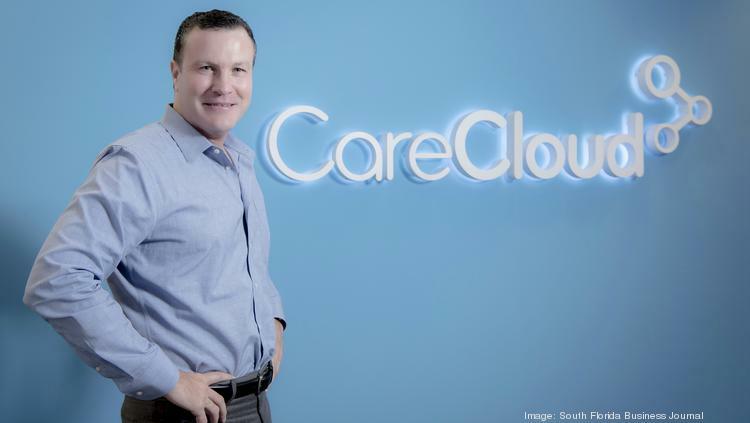 Miami health care-tech startup CareCloud has raised $31.5 million in a Series C funding round, bringing its total amount of investment capital to date to $102 million. New York City-based, late-stage fund Blue Cloud Ventures, a new investor in CareCloud, led the round alongside diversified financial services firm PNC Financial Services Group (NYSE: PNC) and First Data Corporation (NYSE: FDC), a financial technology solutions company. ‘Attitude is as important as ability,’ CareCloud CEO Ken Comée says. “We are excited to partner with Ken Comée and the team at CareCloud as they continue to deliver on their vision of providing the healthcare industry’s best-in-class, cloud-based, comprehensive technology platform,” said Blue Cloud Ventures partner Mir Arif. With the new funding, CareCloud said it has plans to scale its team and cloud-based platform as it works to transform how physicians deliver value-based care and modernize the patient experience. The company, founded in 2009 by Albert Santalo, supports medical practices by providing a platform that seeks to streamline workflow and support more effective patient engagement. The company’s software is tailored to medical groups focused on expanding operations, particularly those in cardiology, general surgery, orthopedics, dermatology and ophthalmology, among sub-fields in medicine. It combines user-friendly design and billing expertise to address inefficiencies. As the dynamics of health care continue to shift, particularly amid regulatory uncertainty, medical practices are seeking new opportunities for innovation. CareCloud positions itself as exactly that, the company says. As CareCloud continues to grow, past investors, such as Norwest Venture Partners, have stayed on, joining the new characters, like PNC.